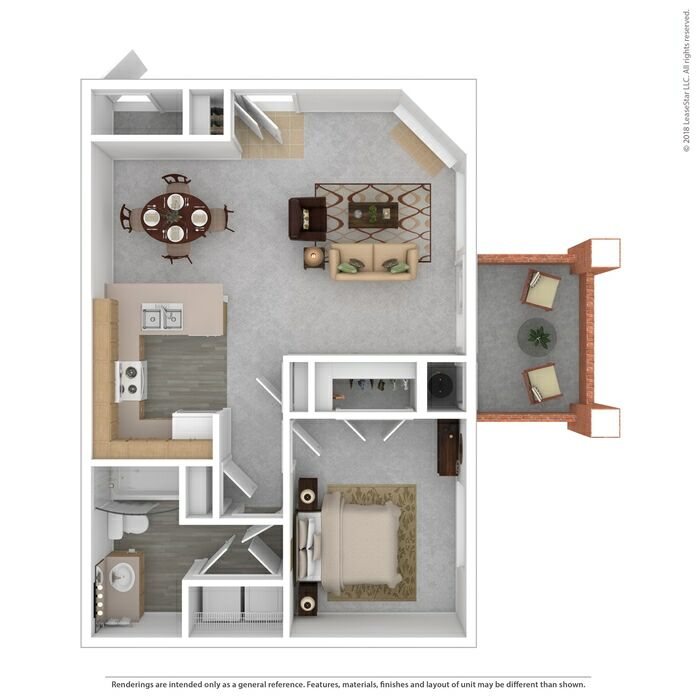 The practical design of the Eldora affords the efficiency you look for in a step-saver 1-bedroom floorplan while not sacrificing the comfort that makes your space feel like home. Cozy up in front of your gas fireplace, relax on your over-sized private balcony, or soak up the sunshine through the large bedroom window. The spacious kitchen and dining room makes cooking and entertaining a breeze, and the 9-foot ceilings help your guests feel like they are in a much larger space. With an included extra storage space, entry coat closet, and spacious bedroom closet, you will also have ample storage. 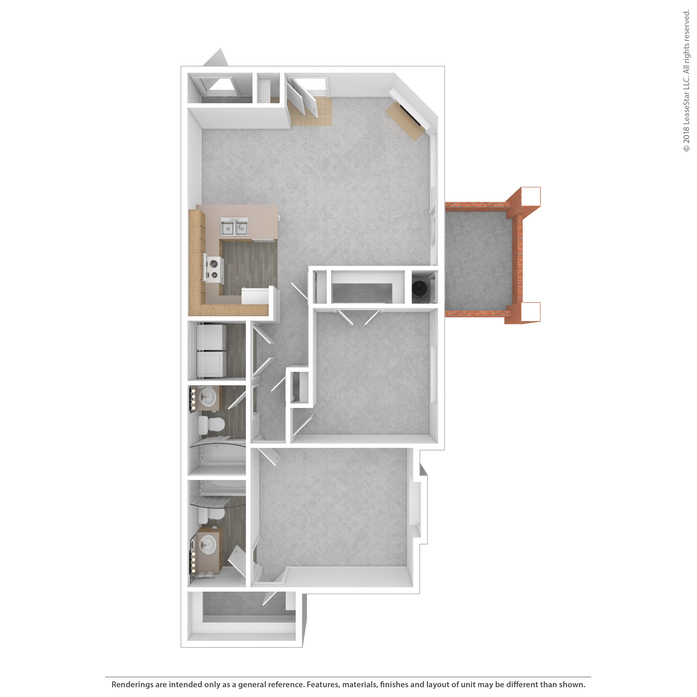 The Flatiron has everything you look for in a 1-bedroom floorplan, with a cozy fluidity and openness throughout the apartment, aided in part by the room-opening 9-foot ceilings. The living room draws you in with the comfort of a gas fireplace, and is well lit from the patio doors and large window. This room opens right up into the ample dining space and large kitchen, including a pantry as well as plenty of countertop and cabinet space. The bathroom is accessible from the hallway, and contains connections for a full-size washer/dryer set that shuts away behind double doors. You’ll also find a linen closet in most units for extra storage (if the unit does not include this extra closet, your bathroom will be luxuriously large). The bedroom is spacious enough for several pieces of furniture and arrangements, and has a large closet. You’ll find even more storage space in the entry coat closet and included extra storage space just outside the front door. 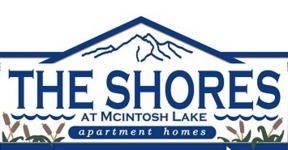 Don’t forget about your oversized private balcony – you may even be able to catch a view of magnificent Longs Peak or Lake McIntosh! The Foothills is the perfect 2-bedroom floorplan for a household that has no need for that second bathroom, but is looking for that lower price-point. The full bathroom with an entrance from both the hallway and the master bedroom (exception: first floor units) affords plenty of comfort and privacy to you and your guests. 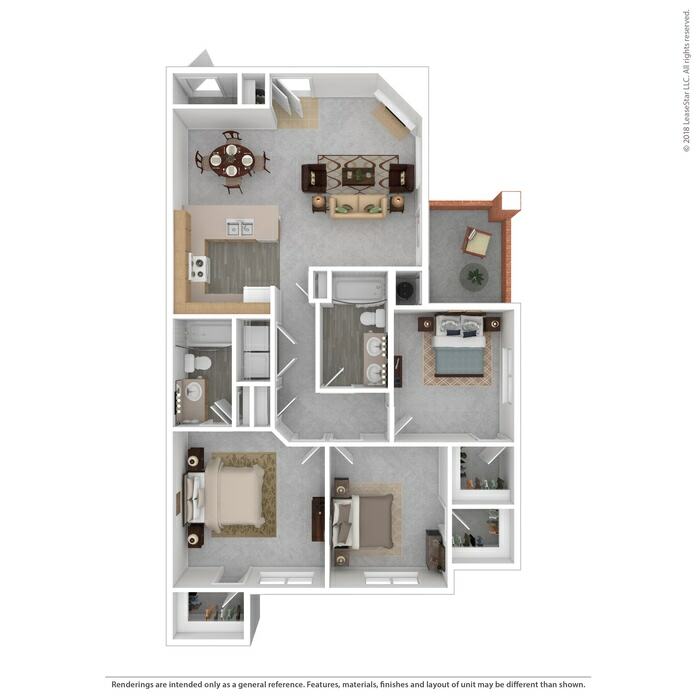 With a convenient and cozy gas fireplace, an oversized private balcony from which to enjoy that famous Colorado sunshine, and a spacious open-concept layout perfect for entertaining or relaxing, this floorplan has everything you could need. 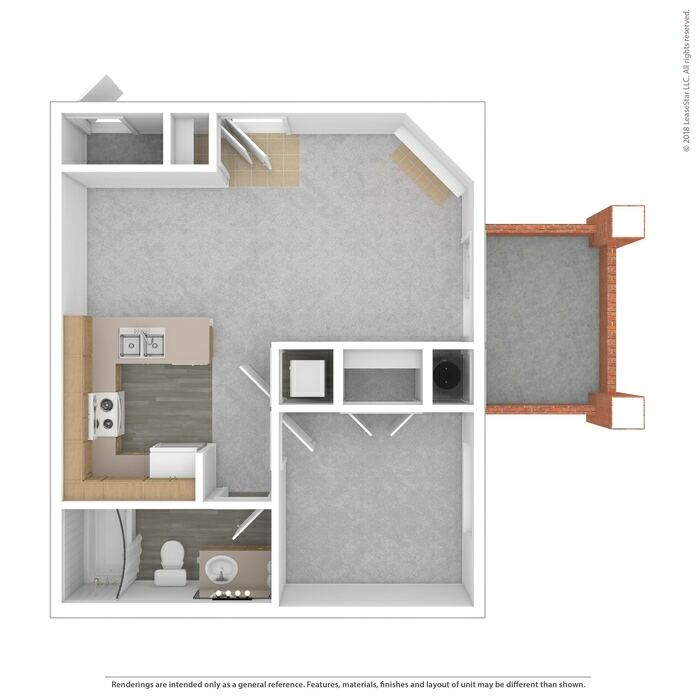 And with only one foot less space in each room than our larger 2-bedroom floorplan, this floorplan has the price point you WANT! 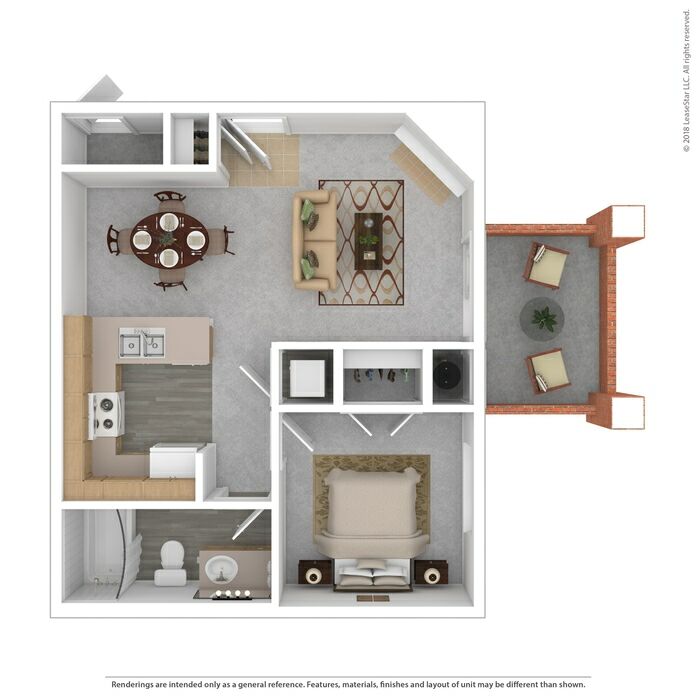 You’ll still enjoy abundant storage options with an entry coat closet, a pantry off the kitchen, an extra linen closet (in most units), a large utility room with plenty of space for extra shelving above the full-size washer/dryer connections, and an included extra storage space outside the front door. The bedrooms also each have ample closet space, with a walk-in accompanying the master. 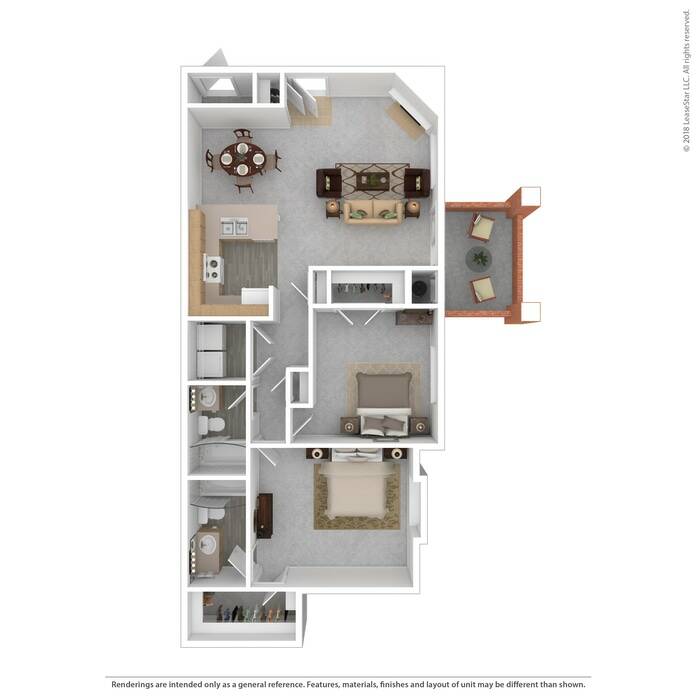 The McIntosh is one of our most popular floorplans for a reason – from the moment you walk in, the open-concept living/dining/kitchen space and the luxurious 9-foot ceilings draw you invitingly into the space. Cozy up next to your gas fireplace, enjoy a breath of crisp country air from your large private balcony, or entertain friends and family from your well-equipped kitchen that opens right into the dining room. The enormous master bedroom can accommodate a variety of furniture configurations, and has its own ensuite bathroom and spacious walk-in closet. A second full bathroom accompanies the second bedroom, but with an entrance from the hallway to accommodate your guests and afford extra privacy. Like the master, the second bedroom has a huge window to let in light and a spacious closet – the space can easily accommodate a queen bed with room for a night table, dresser, AND chest of drawers. 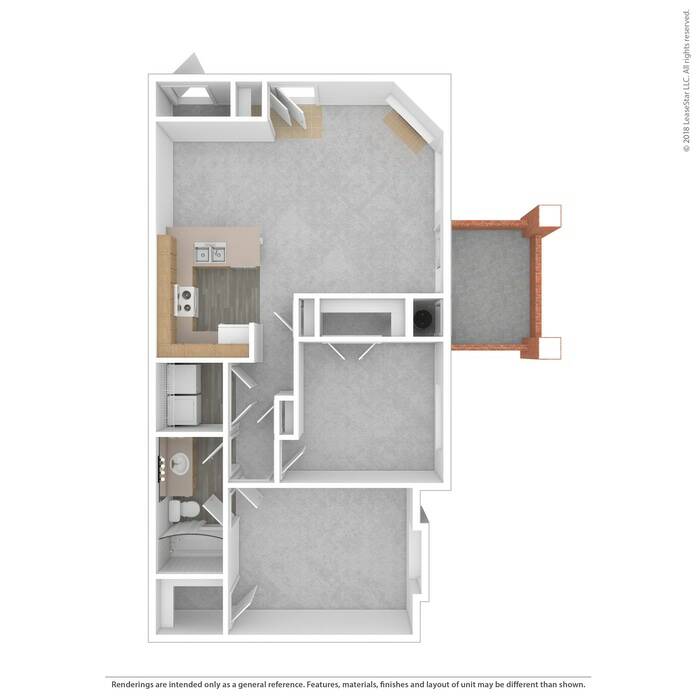 Storage abounds in this floorplan – you’ll enjoy an entry coat closet, a pantry off the kitchen, an extra linen closet (in most units), a large utility room with plenty of space for extra shelving above the full-size washer/dryer connections, and an included extra storage space outside the front door. 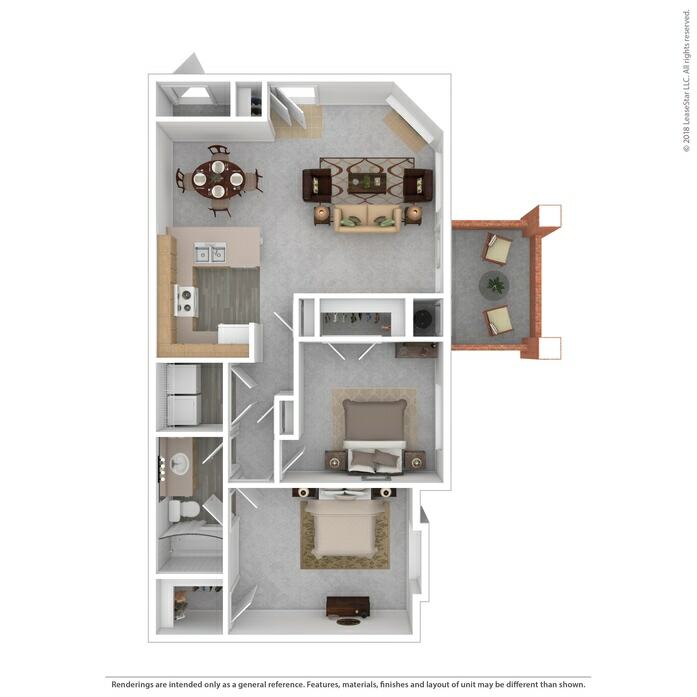 The Vermillion is the ultimate floorplan for those looking for extra space and comfort, especially with luxurious 9-foot ceilings throughout. 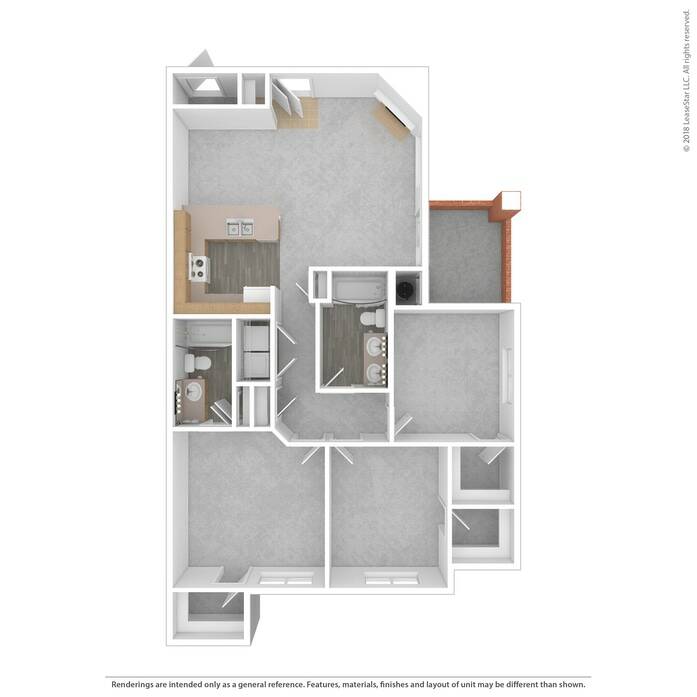 With two spacious bedrooms plus a third enormous master suite, you’ll have plenty of room for your large household, or for guests and hobby or office space! Each bedroom has a luxurious walk-in closet, and the master has an ensuite bathroom and linen closet, while the other bathroom has an entrance from the hallway to accommodate your guests and afford extra privacy. 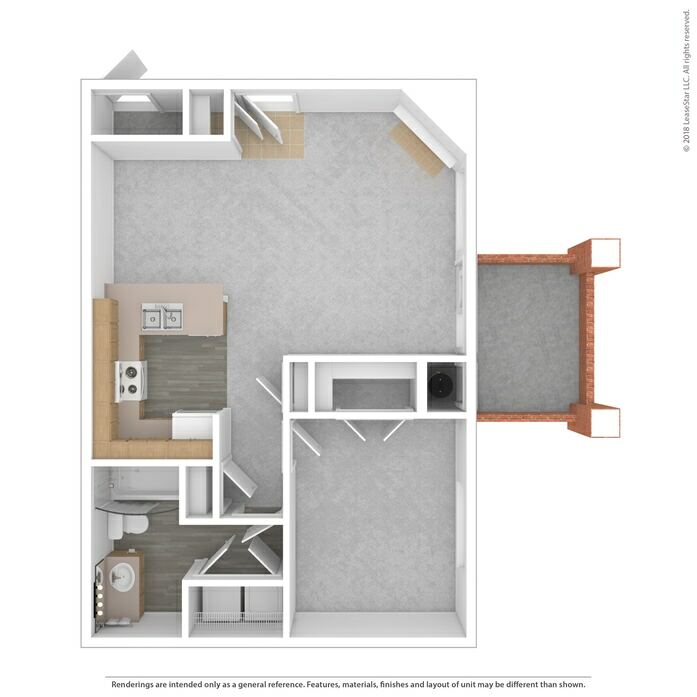 The open-concept living space offers a large and adaptable living room, a sizeable dining room, and a fully-equipped kitchen with plenty of cabinet and counter space. You’ll enjoy plenty of storage with an entry coat closet, a pantry off the kitchen, an extra linen closet, a utility room with plenty of space for extra shelving above the full-size washer/dryer connections, and an included extra storage space outside the front door. With a home this spacious, it may be easy to overlook the small comforts, but don’t forget to take in those Rocky Mountain views from your oversize private balcony, or to take a moment to relax in front of your cozy gas fireplace.